Just imagine: You could always offer your best surgical technique? Minimally Invasive Foot Surgery is one of the fastest-spreading surgical techniques in recent years due to its superior results. Minimally invasive techniques mean smaller incisions, less soft tissue trauma, less pain, faster healing, and a very satisfied patient. A high level of professional skill coupled with an operational experience is essential for good results. However, the best surgical technique and greatest experience can not be used without the proper tool. Professional instruments give the surgeon the opportunity to put his high expertise into success for the patient. 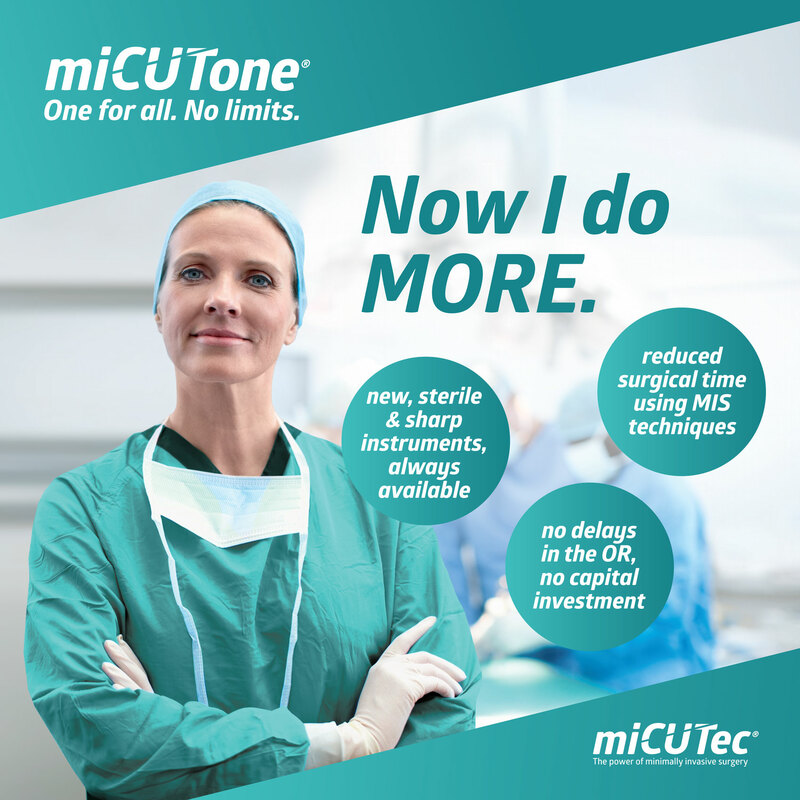 miCUTec allows you to use state-of-the-art systems and instruments for your minimally invasive surgery at any time. Thus, foot surgery is rethought and raised to an advanced level. The times of compromises due to logistics problems or problems in sterilization are over. No compromises in the OR.